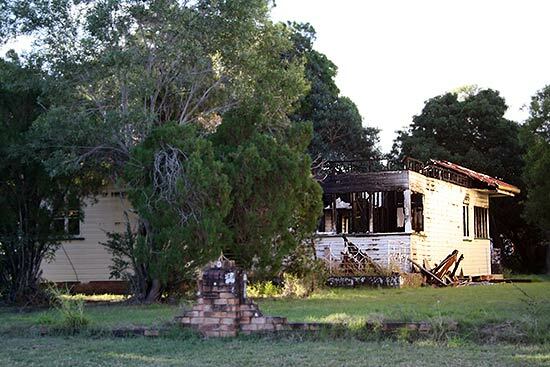 The fire brigade and police attended a house fire in Hervey Bay early yesterday morning. The old house, in McKean Road Pialba, was well alight by the time the fire brigade arrived around 6.20am. Flames and smoke were visible from the Esplanade and the house, which has been vacant for some considerable time, could not be saved. At the height of the blaze police evacuated a unit complex next door to the burning house. There have been suggestions that the fire was deliberately lit and neighbours reported several acts of vandalism in the same street during that night. The Gossip has spoken to one couple who reported noticing a burning smell in the vicinity of the house while they were on their way to work as early at 4.30am.